She's Fantastic: Marvel Legends - HELLCAT! The only flaw with this beautiful figure is the paint on her knees and upper shins. The plastic is clearly a dark blue continuation of her boot, but painted yellow to match her thighs. The yellow paint is semi-translucent and looks pretty sloppy and multi-toned up close. I personally don't think this is a big deal. The same thing occurred with the red paint on Captain Marvel's shoulders. I may be the only one who does this, but I judge everything with a squint test. If I squint my eyes and look at this figure, is that flaw still noticeable? I say no. Hellcat comes with a small bo staff that is made of two separate pieces connected with a peg. As far as I know, Patsy never used a weapon like this. But it makes a nice, albeit non-canonical, accessory. 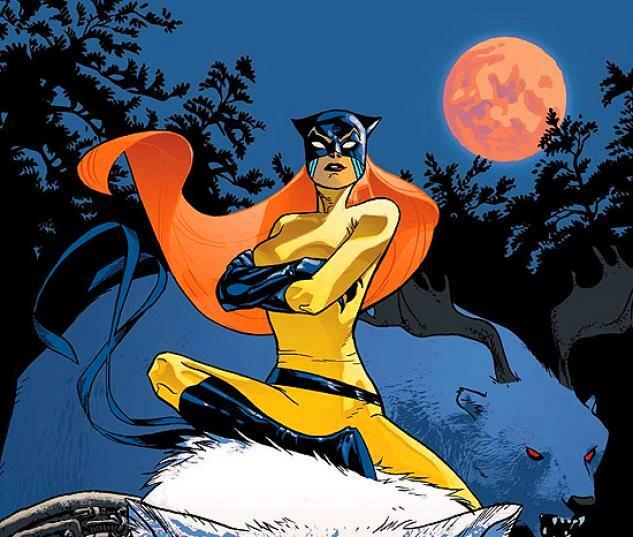 Here are some images of Hellcat from the comics. Hellcat has very few figures out there. Here she is with the Bowen mini-bust (I painted her pupils white) and the Eaglemoss lead figurine. Other merchandise includes a full-size Bowen statue that I can't afford and a Heroclix gamepiece. Here she is with her former sister-in-law Satana. Nice! I picked up Spider-Girl, Scarlet Witch, and Capt. Marvel on Monday but I left Spider Woman and Hellcat. I might need to try and pick those other two up as they look really fantastic! Marvel Legends is nailing it lately. My Spider-Woman review will post at Midnight. So happy they are doing this b-list characters. Haven't got Hellcat yet (soon i think), buti got Spider Woman today and i just love her. 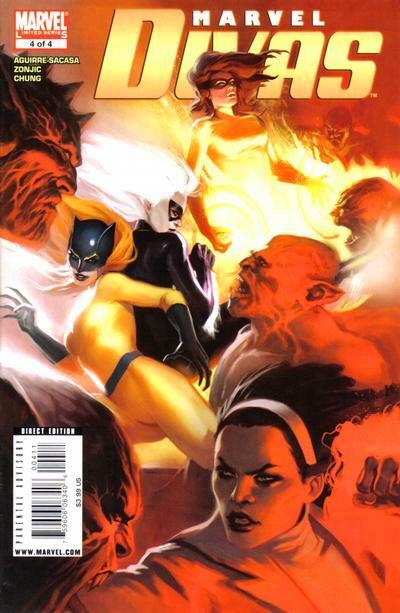 Ever since Moonstone, Satana and Black Cat they are producing the best Marvel females ever. Cant wait for SDCC to see who's next: Polaris, Monica Rambeau, Jocasta and Dazzler would be my pick. Followed by Crystal, Moondragon and Clea. What are your hopefuls? Hellcat is great, but her buck isn't nearly as nice as the Moonstone body. I believe her body is the same as Medusa's. The less-muscular look works really nicely for Hellcat though. I have so many wants. Polaris and Firestar are my top two. My second tier of hopefuls are more modern with Silk and Spider-Gwen. And after that I would love to see Monica as Capt Marvel/Photon, Namora, Dazzler, classic Psylocke, Meggan, the list goes on and on. I love your reviews! And I must say your collection is fantastic! And Spider-Gwen and Silk would be a nice addition! The Moonstone buck is beautiful, but you're right, the body isn't as versatile for "Spidery" poses. My biggest problem with older Marvel Legends figures was that their limbs were too skinny and too articulated. Twiggy legs just don't look powerful. Although the Spider-Girl buck is very poseable, I'm glad they chose to go with a different body style for Jessica and give us some variation. Are you taking a photoshoot for a review blog? If so, let me know and I'll follow you. Yes I do blog reviews on figure and other silly things I am into. 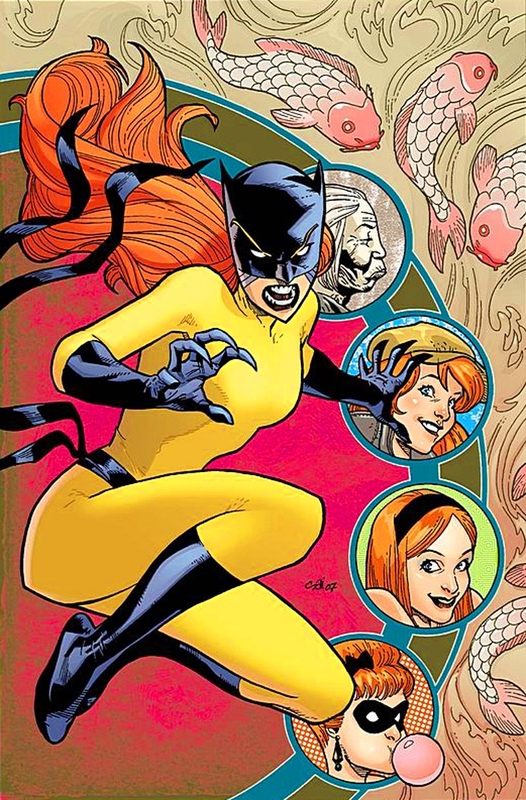 =) I just recently finished my review on Hellcat actually. I'm just glad we also have variations in female body (the bustier 'adult' mold and the 'teenager' mold). We have that in the male figures as well with Bucky Cap mold being the most used one. It is truly a Golden Age. I keep daydreaming that Hasbro will follow suit with Mattel and make a collector's subscription. I would be all over that. What store did you see her in? I got mine from a friend who advance orders several cases. I'm curious to see them in the wild.